Spend an unforgettable day paddling down the majestic Salt River Canyon on this 6-hour rafting trip. Tackle the rapids with a passionate, knowledgeable guide on your raft. This is an excellent trip for rafters of all levels. Lunch is included. Meet your guide at 10am for a safety orientation before launching the raft into the river. Navigate a few easy rapids and enjoy the 2-mile float. Stop around noon for a riverside lunch. Enjoy complimentary chicken, beef or veggie fajitas. 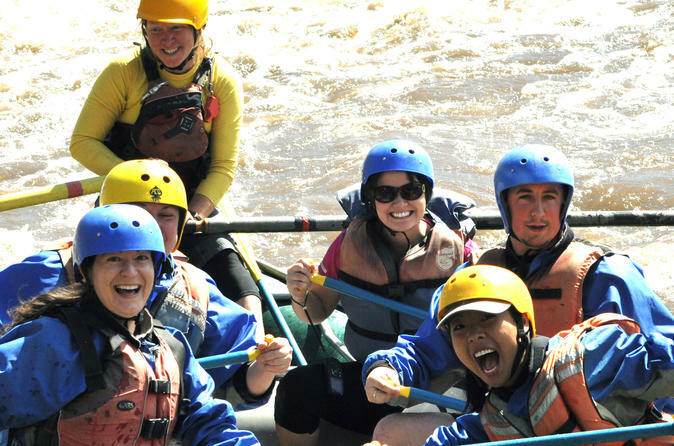 Then, get back on the river to tackle the largest and longest rapids of the day. Reach the stopping point around 3pm and board the shuttle back to the starting point where the adventure concludes.